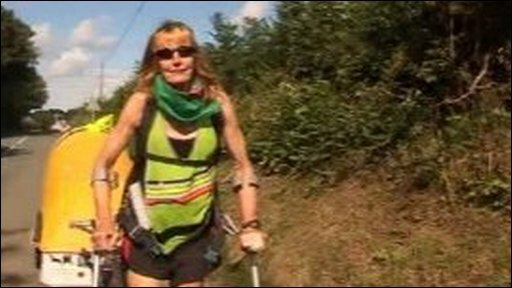 A grandmother who spent almost five years completing an epic 20,000 mile world run has set off on a new challenge. Rosie Swale Pope was aiming to complete 26 marathons in 26 days. But now she says she's going to do one more meaning she'll be running until 1 May.